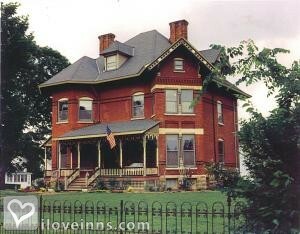 Maquoketa bed and breakfast travel guide for romantic, historic and adventure b&b's. Browse through the iLoveInns.com database of Maquoketa, Iowa bed and breakfasts and country inns to find detailed listings that include room rates, special deals and area activities. You can click on the 'check rates and availability' button to contact the innkeeper. A truly unique place in its name and appeal, the city of Maquoketa in Iowa remains one of the most interesting yet utterly intriguing places in the entire state. The residents of Maquoketa are known to be very friendly people, offering unparalleled hospitality and friendliness to first time comers and regular visitors alike. Maquoketa locals treat their visitors with old fashioned service, which is why the different Maquoketa bed and breakfast inns are the preferred means of accommodation in the city. Maquoketa offers "one of a kind" beauty, with natural picturesque lakes and countryside views. It offers several shopping opportunities as well as a broad range of historical sites. For visitors who are looking for some adventure, Maquoketa is an ideal place: Maquoketa Caves State Park features a natural bridge, six miles of hiking trails, and 13 other caves. The Maquoketa River caters to different water activities such as fishing, canoeing, and boating. By Squiers Manor B&B.